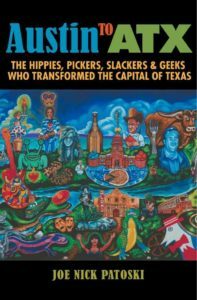 I will be talking, reading, and signing copies of Austin to ATX: The Hippies, Pickers, Slackers & Geeks Who Transformed the Capital of Texas this Friday, March 8 @ 7 pm at Waterloo Records in Austin, co-sponsored by Still Austin Whiskey. Sunday, March 10 at 12:30 in Salon K of the Hilton, I’ll be moderating the Who and What Makes Austin Austin panel at SXSW. Panelist are Heather Brunner, CEO of WP-Engine; film editor Sandra Adair, director of “The Secret Life of Lance Letscher;” and Aaron Franklin, owner-operator of Franklin Barbecue. Each will tell their own Austin start up story, then we’ll mix it up. Sunday, March 17 at 3:30 pm @ Monroe “Lefty” Krieg Field, Sun Radio broadcaster Kevin Connor and I will be calling the championship game of the SXSW Softball Tournament, a time-honored South By tradition. Plus, barbecue! I will have copies of Austin to ATX for sale and autographing. 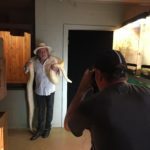 Longtime Austin journalist and author Joe Nick Patoski recently launched his much-anticipated book “Austin to ATX,” a history about the waves of outsiders who have transformed our city, mostly since the 1960s. 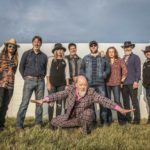 Along with the hippies, musicians and activists widely associated with what Patoski calls the “Other Texas,” he nimbly links together those familiar tribes with other networks of writers, movie-makers, tech geeks and food innovators who make up Austin’s vaunted creative class. 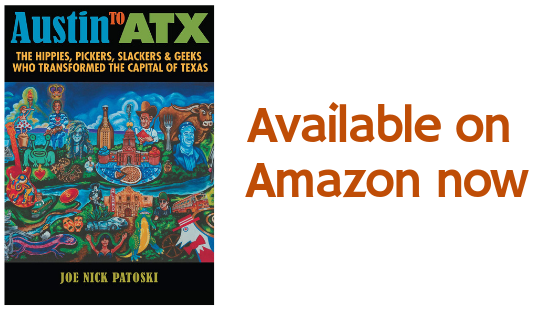 Along with chapters about each identified group, Patoski provides thorough histories of South by Southwest, “Austin City Limits” and other cultural brand names. 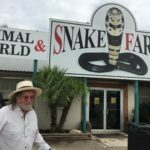 Patoski moved to Austin in 1973 — he has lived in Wimberley since the 1990s — so his view is long. 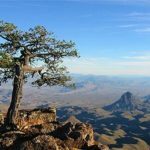 All along, he keenly observed the connections within the Austin experience going back far before his arrival. That dovetailed with Patoski’s childhood memories of Austin. Trying to figure out what is this elusive mojo that Austin has, he kept flashing back to Scholz. 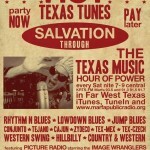 Austin was also the only place in Texas during the 1960s where hippies were relatively safe from violent suppression. 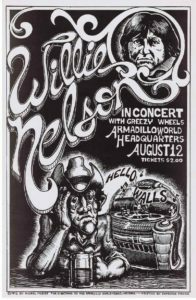 Patoski goes into great detail about how the countercultural crowd coalesced, how early on many of them left for greener pastures in San Francisco, then how that out-migration became an in-migration because of music, specifically a form that combined traditional country music with rock ‘n’ roll in venues like the Armadillo World Headquarters with musicians such as Willie Nelson at the head of the parade. Two of the best chapters — ones on literary Austin and culinary Austin — are organized around one or two special interviews each. Patoski says using Whole Foods and Aaron Franklin as the main culinary characters was an easy choice. 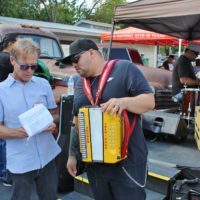 Patoski, a longtime barbecue connoisseur, had helped hatch the idea of a Texas Monthly top 50 barbecue joints list with Pat Sharpe. So a focus on Aaron Franklin seemed natural. Patoski does a good job of including the tech talent and game-makers among the outsiders who molded today’s Austin economy. Yet the great wealth they produced also completely transformed real estate, philanthropy and retail. 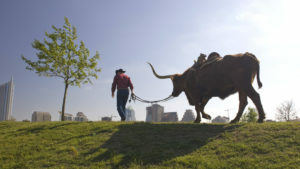 Can the Old Austin of those who are still trying to eke out the low-cost lifestyles that attracted them here live alongside the New Austin of towers, traffic congestion, outrageous rents and high-price restaurants? One of Patoski’s most generous observations involves the context in which newcomers have perceived the Broken Spoke. 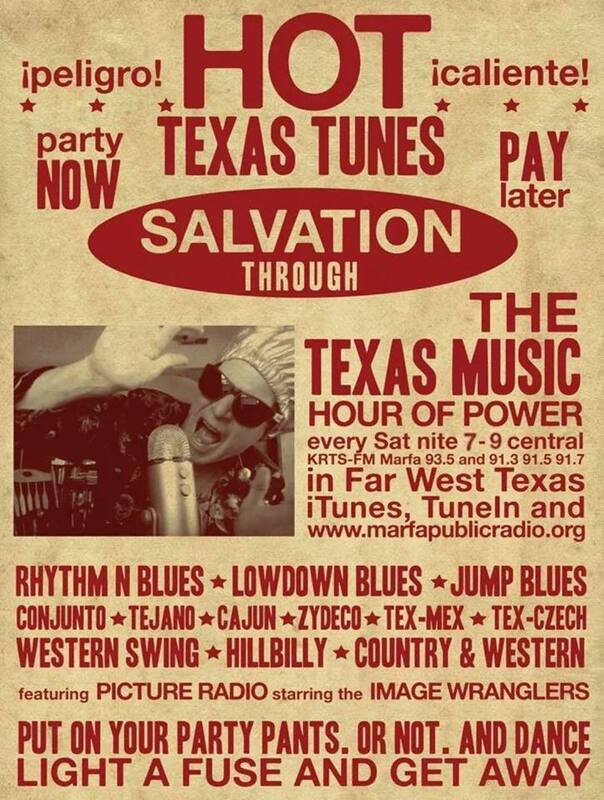 Joe Nick Patoski is our guide through the music of Texas — from western swing to zydeco to Tex-Mex.